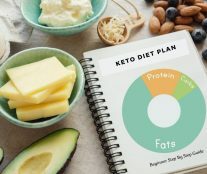 If you have been gaining back weight after weight loss, this article will show you why this is happening and how to avoid regaining weight. If you thought losing weight was hard, research shows that keeping it off is harder. Researchers say that 95 percent of people regain lost weight within a few months or years. In fact, most contestants in The Biggest Loser end up regaining weight. Anyone can gain back weight, regardless of whether he/ she lost it fast or slow. And if the vicious cycle of losing and gaining happens for long your metabolism and hormones will be damaged. It’s common for folks to have feelings of guilt, shame, and low self-esteem after gaining weight back. But you shouldn’t beat yourself up. Regaining weight doesn’t mean you’re weak or a failure, it simply means you’re doing something wrong. And once you make a few corrections the excess fat will quickly melt away. Weight loss is greatly determined by calorie intake and calorie expenditure. But hormones also play a significant role in weight loss. For instance, if you lower your daily calorie intake from 2,000 to 1,500 calories, you’ll lose weight, but leptin (hunger hormone) levels will decrease. As a result, your cravings and appetite will increase. Hormonal changes caused by low-calorie intake slow metabolism, increase hunger and increase stress levels. This leads to low energy expenditure and weight gain. Hormonal changes can be avoided through diet breaks. This is a concept of increasing calorie intake for a week or two to undo the hormonal effects of low-calorie intake. Underestimating calories consumed is one of the main reasons most people don’t lose weight, and it can quickly cause your weight to creep up. Your calorie intake should be the first thing you analyze when you start regaining weight. Realize that most people are bad at estimating calories (even professionals). So count your calories for a while to determine whether you’re maintaining a calorie deficit or not. Some folks are too scared of gaining weight back they end up being stressed. 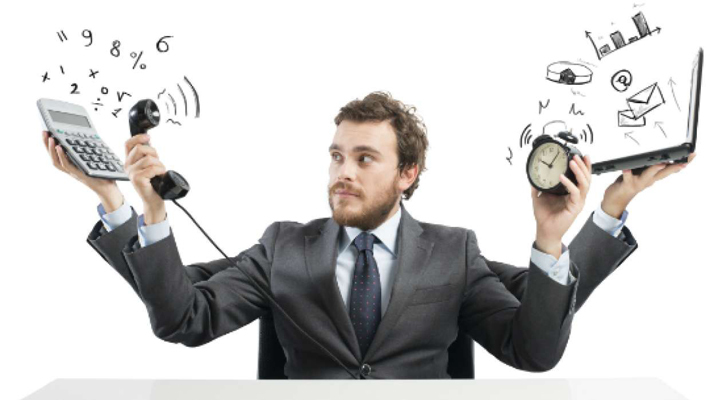 Being too busy with work or family can also increase stress levels. Studies have linked stress to slow metabolism and weight gain. Don’t worry about regaining weight, just maintain healthy eating habits and exercise regularly. Learning to deal with stress will also help keep the weight off for good. Exercise, meditation, and walking can lower stress levels. It’s totally possible to lose weight through diet – without exercise. But as I mentioned earlier, losing weight slows metabolism and reduces energy expenditure. So you need exercise to boost metabolism and increase energy expenditure. In fact, you may need more exercise after attaining ideal weight than you did before. Aim to do strength training at least four times a week and make walking a daily routine. Initial weight loss is usually quick and effortless for most folks. So people assume what worked at the start will work forever. They stick to the old approach even if it’s making them regain weight. This kind of persistence will leave you frustrated and hopeless. Change your strategy if old habits don’t work anymore. May be cardio worked before, but now you can benefit from bodyweight exercises. May be you didn’t count calories before, but now you can benefit from tracking your calories. Some people are able to lose weight through willpower and determination – without changing habits. Unfortunately, willpower can only last so long before it runs out. And when the willpower well dries up folks go back to old eating habits. Lack of quality sleep can increase cortisol levels, increase cravings, weaken willpower, and cause weight gain. The key word here is quality – being in bed for 8 hours doesn’t mean you’ve had enough sleep. It’s good to reward yourself for attaining different goals. But don’t misuse rewards. I discussed this in detail in the cheat meals article. Rewarding yourself with a snack after a workout can add back all the calories burnt during the workout. Avoid cheat meals altogether or reduce their frequency. Find ways of rewarding yourself that don’t involve food. Go watch a play, take dancing lessons, or spend time with friends. Some eating habits can be forgotten once you attain your weight goal. And consuming enough fiber is one of them. Fiber keeps hunger at bay and reduces chances of overeating. While fiber needs may vary depending on your age, make sure you get at least 25 grams per day. All plant-based foods are rich in fiber. Some medications can make you regain weight – antidepressants are the first thing that comes to mind. Studies show that antidepressants cause weight gain. Paroxetine is known to trigger weight gain more than any other antidepressant. Note that medications for other conditions can also make you gain weight. Consult with a doctor if your weight starts creeping up after taking a new medication. Most people let loose after attaining their weight goal. They stop setting goals, start drinking a lot of alcohol, start eating junk, and forget about their weight. You can only stay lean if you maintain the habits that made you lean. Set new goals after you reach your ideal weight. They can be goals about skill exercises like the handstand, flexibility, or swimming. Gut health affects your weight more than you may think. Researchers say that digestive problems and slow bowel movement can cause weight gain. A weak gut can be caused by antibiotics, processed foods, stress, sugar, and over-the-counter medication. Eating healthy unprocessed foods can fix your gut. Reduce sugar intake and eat more probiotics. Foods rich in probiotics include yogurt, fermented veggies, garlic, and onions. It’s no coincidence that most people gain weight after starting a family or a new job. Being busy with work or family may force you to snack and skip workouts. It can also increase stress levels. Don’t wait for the numbers on the scale to start rising before you make adjustments. Change your eating and exercise habits as soon as your daily routine changes. If you’re too busy in the evening, start working out in the morning. If you’re too busy to cook every meal, start prepping meals. Diets that force you to eat specific foods, at a particular time are hard to maintain long term. It’s highly likely you’ll quit them and go back to old eating habits. It is important to avoid addictive foods, but don’t limit your meals to a particular macronutrient. Whatever your food choice is – avoid processed foods, eat plant-based foods, get enough proteins, eat healthy fats, and drink enough water. Small changes like increasing the number of hours you sit in a day can cause weight to creep up. In fact, sitting for long hours doesn’t just cause weight gain – studies have linked it to higher mortality rate and a higher risk of cardiovascular disease. Find ways to increase movement. For instance, instead of calling your colleague, walk over to his/her desk. 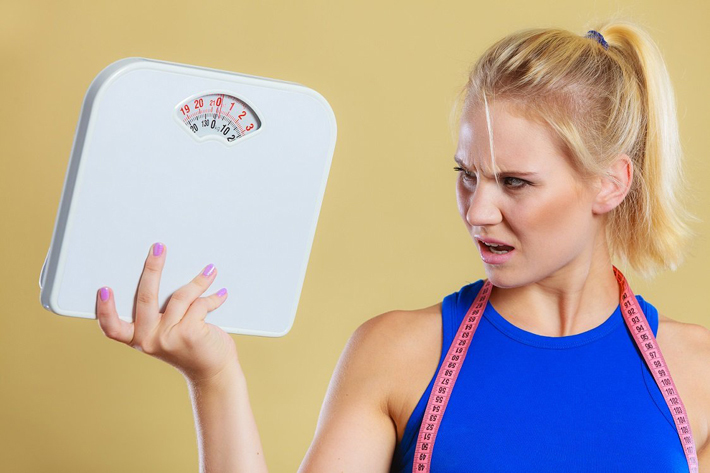 Are you ignoring the scale because your weight is increasing? 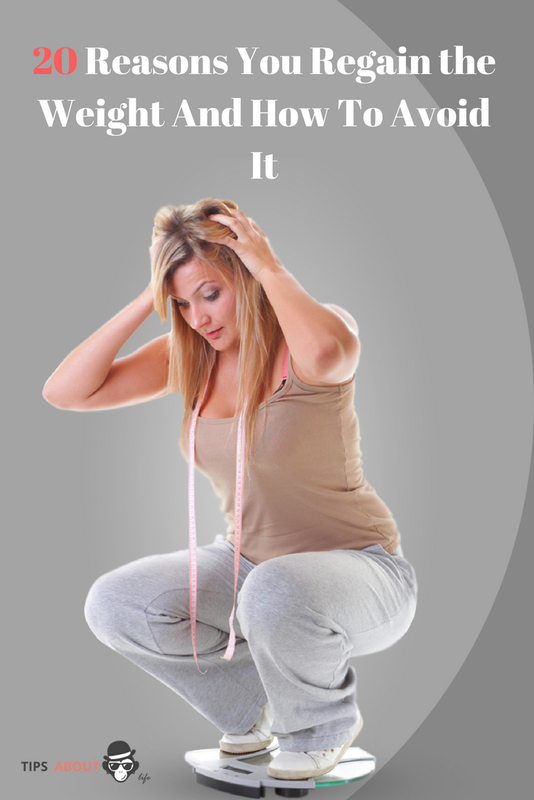 Are you brushing off obvious weight gain signs like clothes not fitting? The sooner you recognize you’re gaining weight, the easier it’ll be to get back on track. Keep tracking your weight even after you reach your ideal weight. Weigh yourself once a week. Studies have proven that meal timing is a myth. But changing the time you eat can cause weight gain. For instance, research shows that late-night-snackers are more likely to gain weight. And most breakfast-skippers are overweight. Eating at night doesn’t directly cause weight gain, but it can trigger bingeing which causes weight gain. Use the meal frequency that works for you. Don’t switch to intermittent fasting because it works for someone else. Believe it or not, some people feel guilty about losing weight and being skinny, especially when they’ve been overweight for a long time. So they overeat to gain weight back and avoid the guilt. If losing weight makes you feel uncomfortable seek professional help. Don’t sabotage your effort. Weight gain doesn’t necessarily mean you’ve gained fat. The numbers on the scale can rise when the body holds excess water. This mainly happens due to dehydration and excess sodium intake. The good thing is you can easily eliminate water retention by increasing water and potassium intake and reducing sodium intake. Calories from sodas and energy drinks can cause weight to creep up. Avoid drinks that contain sugar and artificial sweeteners. Water is the best drink for maintaining a healthy weight. Don’t add (a lot of) sugar in coffee or tea either. I hope you’ve found something you can relate to in these 20 points. 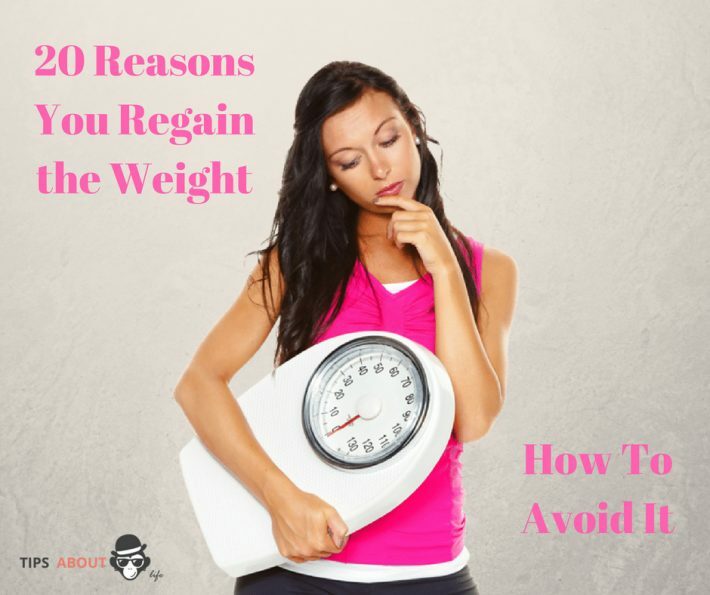 Frankly, keeping weight off is not hard if you know the mistakes to avoid. If you’ve been yoyo-dieting, this is the time to end it. Go ahead and eliminate any habits that may be making you regain weight.